Dr. Madhuri Shah, the late President of Gujarat Research Society, was a visionary and a nationally and internationally acclaimed educationist who founded Dr. Madhuri Shah Nursery & K.G. School, formerly known as Bloomingdales, in 1979 and Jasudben M.L School in 1980. 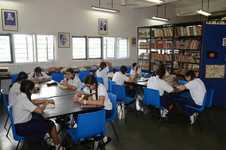 Jasudben M.L.School is affiliated to the Council for the Indian School Certificate Examinations. 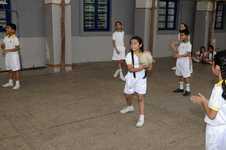 Since the inception the motto of the school has been Knowledge is Adorned by Character. 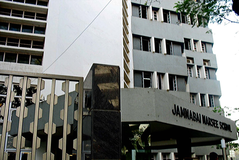 The ISC Section ( The Indian Secondary Certificate ) Stds XI and XII was introduced in 2005, the Silver Jubilee Year Of Jasudben M.L.School. The ISC Section - Science Stream was first introduced followed by the Commerce Stream in 2007. Over the years, the school that had begun its journey with only 17 students, now caters to the learning needs of more than 1800 + students, offering quality education to each and every one of them. Minimum Annual fees is 80,000 Rs. Best schools in Mumbai, Best schools in Khar, Best ICSE schools in Mumbai, Best ICSE schools in Khar, Best Coed schools in Mumbai, Best Coed schools in Khar, Best English medium schools in Mumbai, Best English medium schools in Khar.